With the Final Fantasy Trading Card Game geared up for the release of the Opus VI series of cards, Square Enix had a dedicated space for players to sit down and duel it out at HyperJapan 2018. There were several large tables set out, and staff on hand to help and distribute free goodie bags. While i’m a fan of the Final Fantasy franchise, the card game has never really interested me. I only have room for one trading card game in my heart and that’s not going to change anytime soon. My girlfriend isn’t a fan either so we declined the offer to play, but took a goodie bag each anyway. You know, free stuff! We were both expecting a pen or two, and maybe a lanyard or something. Neither of us expected the four booster packs of Opus III cards that we found inside! I know that Opus III only came out in July 2017, but it’s still awesome to get given free things. It did make me wonder about the amount of money Square Enix had invested in being at HyperJapan 2018. Then I started wondering about the worth of the free cards that we had been given. I decided to hop onto BigOrbitCards to find out. 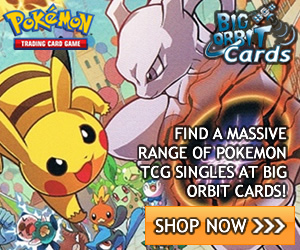 BigOrbitCards is an awesome provider of CCG singles based in Evesham, UK. I’ve bought several lots of Pokémon cards from this place, and i’ve been impressed with what I received. They do buy cards, but for this little experiment, I wanted to see what it would have cost me to buy them individually. Each card that I got is listed below, along with the price. There are a few duplicates as well, so if you see any that are repeated, it’s not a typo! Prices were accurate on the day that I looked (14th July 2018)! For some strange reason, I only got 47 cards out of the booster packs, rather than the 48 that I should have. Very strange! In any case, the total worth of all the cards came to £25.80 if I had bought them as singles. That’s nothing to be sniffed at! While a lot of them are common cards worth 15p, there are some notable rare cards. The foil versions of Machina (3-022) and Gilgamesh (3-103) would have cost me £3.10 and £2.95 respectively. Not all foils are created equal though as the foil versions of DGS Trooper 1st Class (3-040) and Masked Woman (3-076) both came in at below £1. My favourite card, Lightning (3-118) came in a £2.55. Getting these cards was a nice little perk. I know that the goodie bags were designed to get me interested in playing the card game, and it might just work yet! There’s a tutorial on their website so I will probably have a go when I have some spare time. Thanks very much for reading this random post about my little pricing experiment! If you liked it, then please follow this blog for similar updates in the future.